Lets have a bit of love for this explosion of glittered hearts and stars designed to celebrate that milestone anniversary! 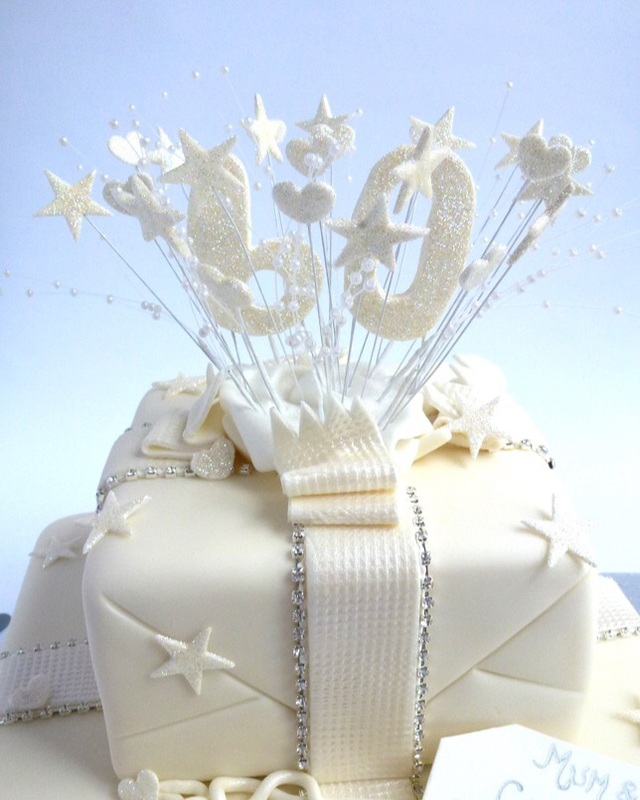 Both tiers of this cake are coated white with the exception of the diamond anniversary cake which is coated cream. 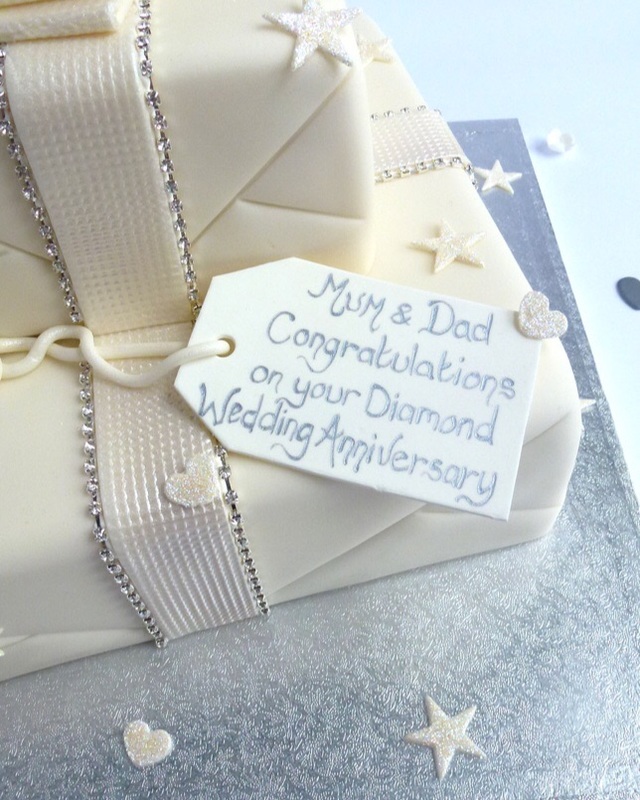 The ribbon is in a colour appropriate to the anniversary and is edged with diamonte. 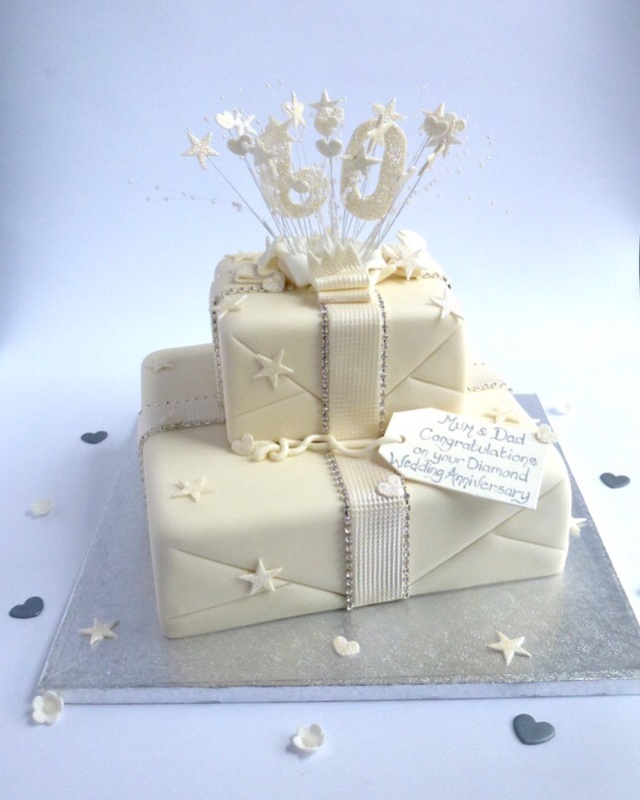 The stars are glittered in white with the glittered hearts in a colour to match the ribbon. Finally the numbers can be either made from icing and white glittered or diamonte and the tag and edible tissue also in white.